Black Coffee and Green Tea: DeLorean Biopic! "Most film fans now know the name DeLorean thanks to Back to the Future, but there was a point where the entrepreneur was a headline-making designer. There’s a reason that the 9000 produced DeLorean cars are an iconic symbol of the ’80s. 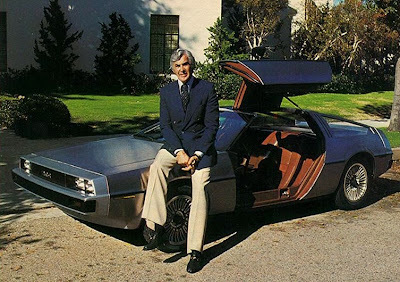 Well, two reasons: in addition to making a wild-looking car, John DeLorean allegedly trafficked drugs to generate cash for his struggling company. (He beat the charges; the ‘trafficking’ was actually an elaborate entrapment scheme.)"